Our incredibly talented Director, Yolanda Beasley, was featured in November on the Bechdel Test Festival blog for her ongoing contributions to supporting Women in Film. As you may know, Masters of Romance is a female centric film which was written, directed and produced by first time filmmaker Yolanda Beasley who also plays the film’s lead actress. What you may not know is that as a woman in film, Yolanda had to face many obstacles before she put faith in her own hands and decided to produce Masters of Romance. 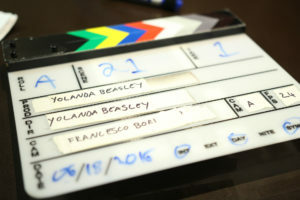 The Bechdel Test Fest blog is inspired by the Bechdel Test’s measure to identify if women are fairly represented in a film; they were inspired by Yolanda’s story and chose to feature it on their blog to encourage more women to pursue making films even if they are not presented with the opportunities to do so.